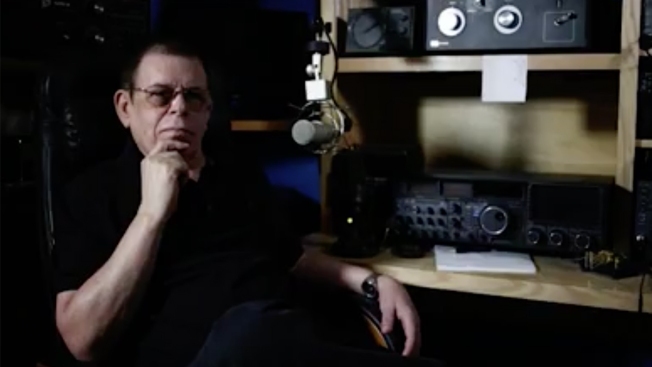 Art Bell, a radio host best known for a paranormal -themed nightly show syndicated on hundreds of stations in the 1990s, has died, the Nye County Sheriff's Office announced Friday. Art Bell, a radio host best known for a paranormal -themed nightly show syndicated on hundreds of stations in the 1990s, has died at his home in Pahrump in southern Nevada. Nye County Sheriff Sharon Wehrly says Bell was 72 and that an autopsy will be conducted to determine cause of death. Bell hosted the popular radio talk show "Coast to Coast AM" before he left the airwaves in 2002. He broadcast the show from his radio station in Pahrump. Former business partner Alan Corbeth said during Bell's 2008 induction in the National Radio Hall of Fame that nobody was better than Bell at understanding a "how to create theater of the mind..."
Bell was on some 500 radio stations nationwide.